Parenting isn’t an easy task—it’s one of the most difficult jobs out there. You want to find a way to live with your children so that you can feel good about yourself and they can feel good about themselves. You want to live without blame and recrimination. You want to express your irritation or anger without doing damage. You want to find a way to be respectful of your children’s needs while still being respectful of your needs. You want to help your children grow into responsible, caring, self-sufficient adults. 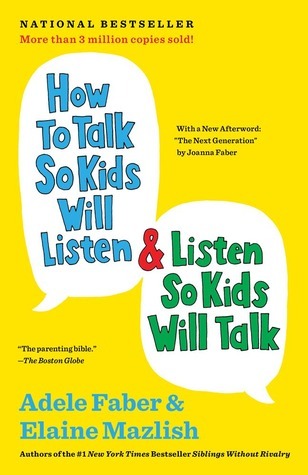 How To Talk So Kids Will Listen & Listen So Kids Will Talk covers it all, from teaching your children how to deal with their feelings to helping you learn effective methods of communication. We’ve compiled all the information from this book into actions that you can try out at home with your kids. So, pick an action or two, and implement it today! Adele Faber graduated from Queens College with a B.A. in theater and drama, earned her master's degree in education from New York University, and taught in the New York City high schools for eight years before joining the faculty of the New School for Social Research in New York and Family Life Institute of C.W. Post College of Long Island University. She is the mother of three children. Help your children deal with their feelings. Help your upset child with physical activity. Understand how your child reacts when they are upset and tailor your response to them. Understand how your children feel when you use different methods of communication by putting yourself in their shoes. Create an environment where the spirit of cooperation can thrive. Practice alternatives to punishment when your child makes a mistake. Encourage autonomy in your children. Give your child helpful praise. Free your children from playing roles.